For over 50 years, More Than Roofing has focused on on all things pertaining to roofing throughout the extensive Harrison County Mississippi area operating out of our Gulfport, Mississippi roof repair headquarters. More Than Roofing has provided the residential and commercial roof requirements of a multitude of satisfied customers mainly located in Gulfport, Biloxi, DeLisle, D’Iberville, Long Beach, Lyman, and Pass Christian, Mississippi. Our Mississippi Coastal roof professionals will assist you right from the first phone call. Our roofing repair advisers will evaluate your roof, present the best solution to accommodate your requirements and finances, and work with you in arranging a detailed plan of action. Our consultants in roof covering, are authorities as well as your own personal specialist from choosing the the type of shingle, shingle color, or the best venting scheme for your house. Our Mississippi Coastline roof covering professionals will take the time with you in order to help answer every series of questions you might have. Your More Than Roofing professional give to you a printed price quote, a copy of our organization’s license, and a copy of our Liability and Workers’ Compensation insurance policy. Only superior materials are utilized for a MoreThan Roofing roof. More Than Roofing stands behind the proven National Brand products More Than Roofing installs as well as all other roofing materials More Than Roofing uses. Superior roofing products we work with include Owens – Corning and GAF plus many, many others. 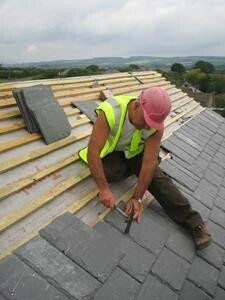 Every one of the materials that More Than Roofing utilises are religiously installed using manufacturer guidelines. installation is a construction project, and as such, may be raucous sometimes and a untidy process. When ever feasible, More Than Roofing will remove old roofing directly into a waste materials dumpster. When this isn’t feasible, we will select a location that is below the roof that is being replaced and will drop the discarded materials onto a tarp. The debris on the tarp is then carried to the waste materials container. More Than Roofing will do our best to offer protection to your landscaping. Please bring to the attention of Roofer in Gulfport any cause of concern on the day that work is scheduled to begin. When the brand-new roof is installed and the project is complete, More Than Roofing will conduct a thorough cleaning of your home. More Than Roofing will remove all roofing debris from gutters, decks, walkways, and driveways. More Than Roofing are very experienced, professional roof repair specialists and our good reputation is important to us. More Than Roofing will continue to work to attain your trust. If you are situated in Harrison County Mississippi area that includes Gulfport, Biloxi, DeLisle, D’Iberville, Long Beach, Lyman, and Pass Christian, Mississippi, and are seeking a remedy to any roofing related dilemma, do not hesitate to phone us for a FREE OF CHARGE QUOTE at 228-265-7974. The More Than Roofing promise quite simple – ensuring your roof concerns are solved hassle free. 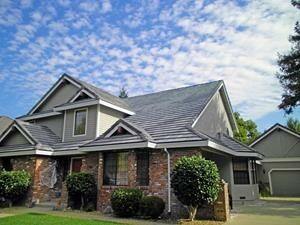 More Than Roofing results equate to More Than Roofing promises.